Fingerprint Time Attendance and Access control Terminal TF 1700 with IP65 ratting. Worlds Smallest fingerprint structure. Waterproof Fingerprint Access Control eSSL TF1700. 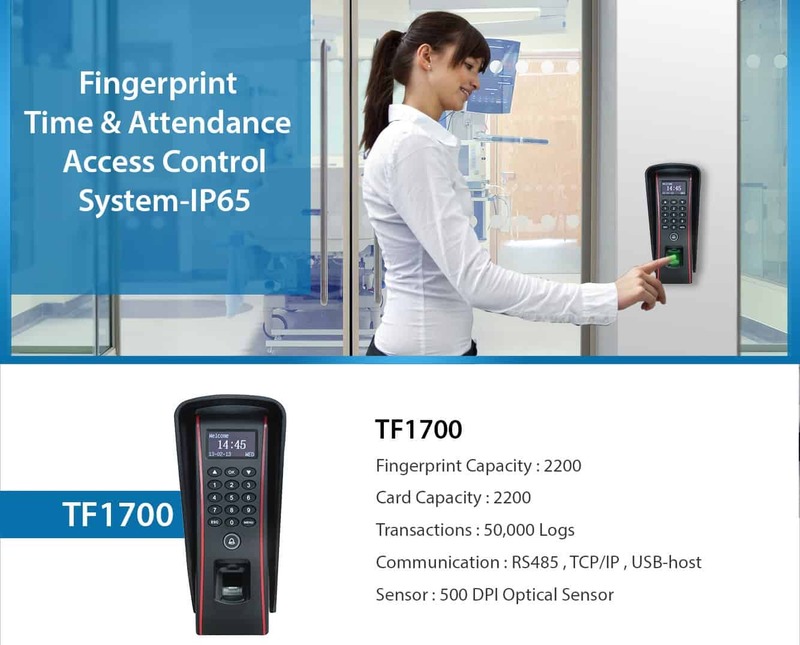 TF 1700 is a standalone fingerprint Time Attendance and Access Control system, It could store 2,200 fingerprint templates and 50,000 transaction records. 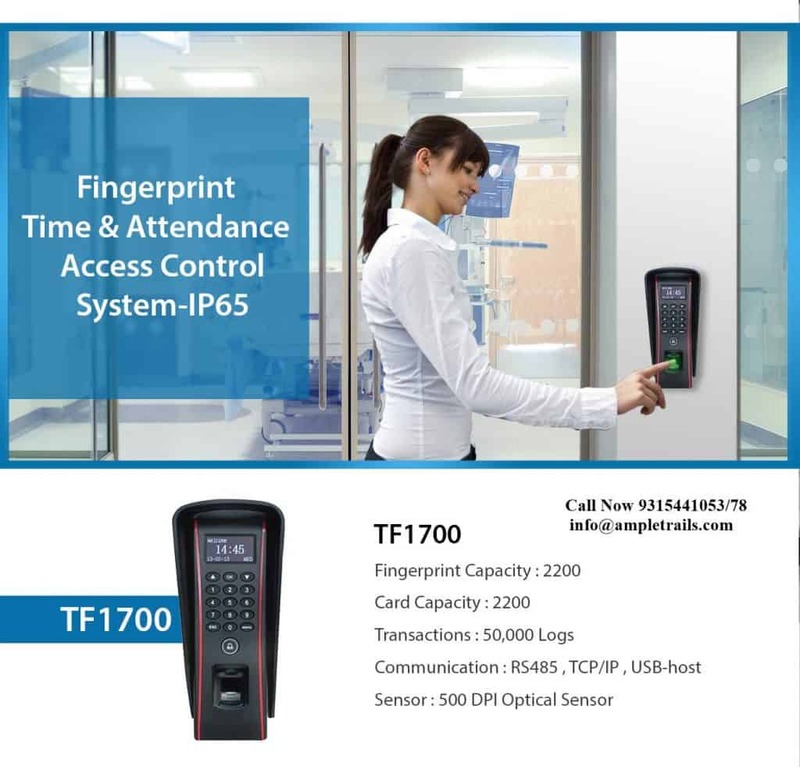 Features of fingerprint Time Attendance and Access control Terminal TF 1700. One of the world’s smallest fingerprint terminals.Sleek and slim design for narrow spaces. 1 touch a-second user recognition. Store 3,000 fingerprint templates, 30,000 cards and 500,000 transactions. One of the world’s smallest fingerprint terminals. 1:3000 fingerprint identification in 1 second. Access control interface: EM lock, door sensor, exit button, alarm. Please call us at 9818390836, 9315441078 WhatsApp 9315441053 now! Fill the following form to get a call back from one of our experts.